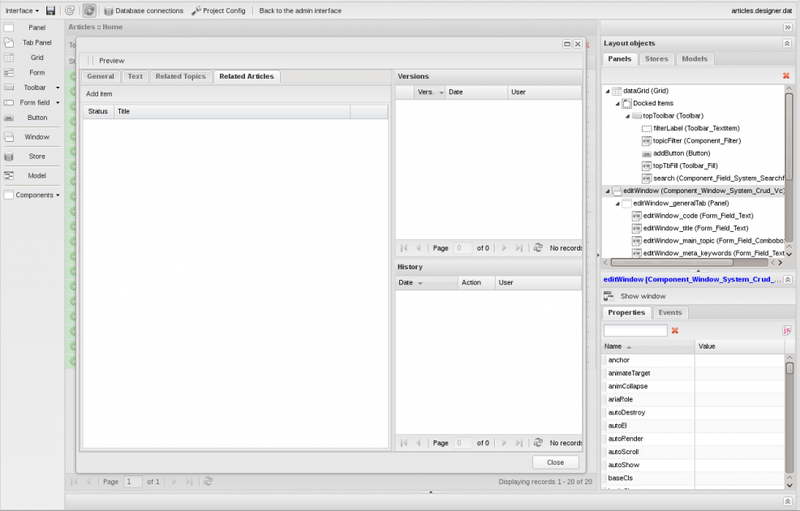 In this case study we’ll learn how to create an interface for editing a field containing a link to object list. Let’s take a ready-to-use example - Articles from the Demo compilation and add another field - Related Articles. It will be similar to Related Topics, which were implemented earlier. 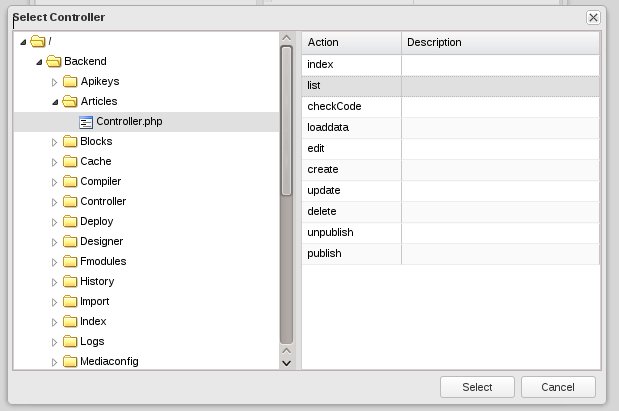 Add a new field in the ORM management interface. 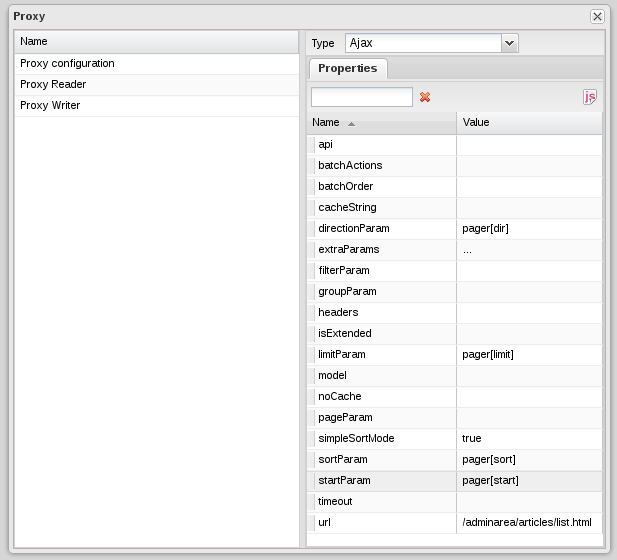 The interface will be simple (Grid, Store, Search) and will contain a table repository and a search field. 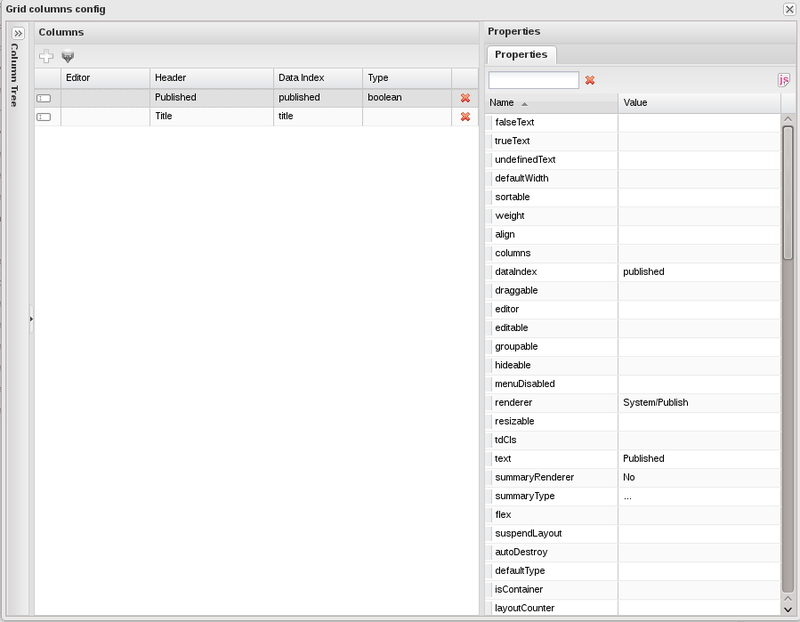 Create a repository, name it dataStore. Set the url of the data source. 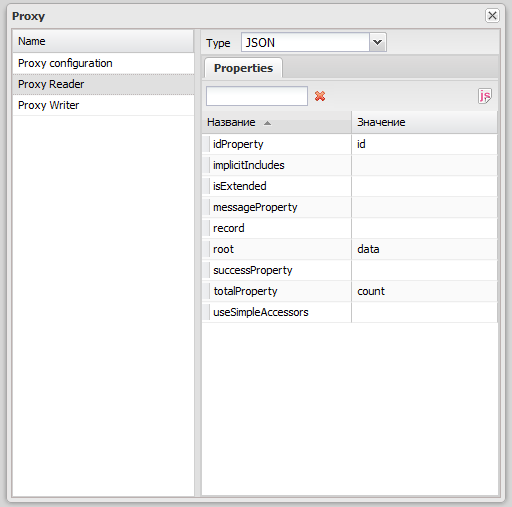 In the dataStore object settings et the autoLoad property to true. Add Grid component to the interface and name it dataGrid. 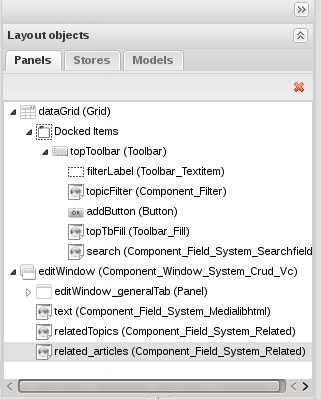 In the component's main settings specify store: dataStore. 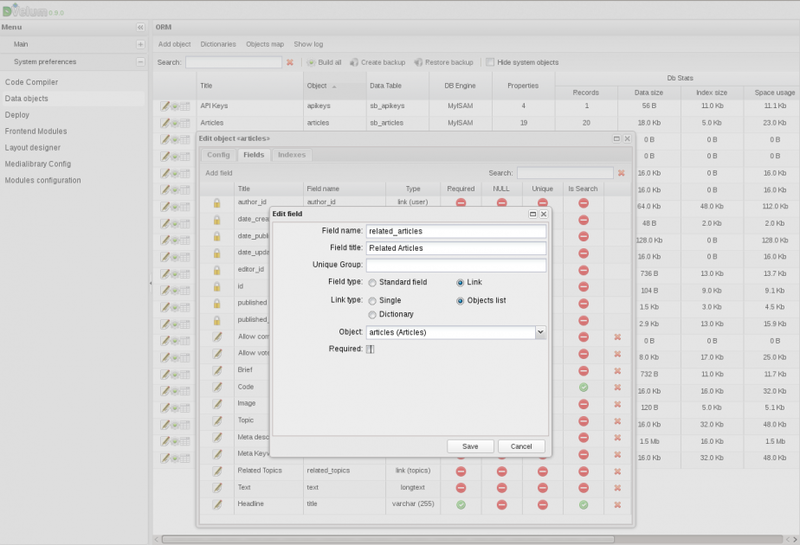 In the table columns management interface import the fields from dataStore and define titles for them. 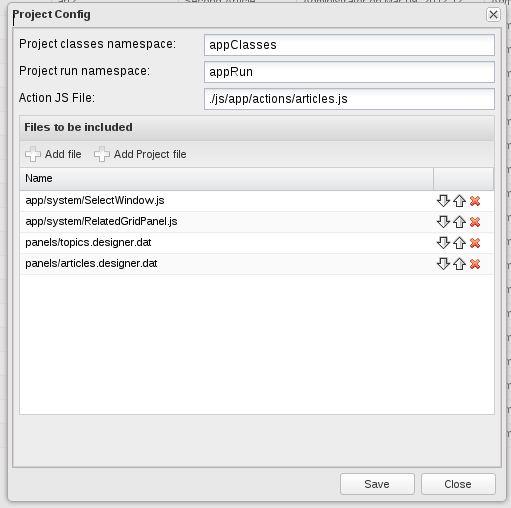 Specify renderer for the Published column: System/ Publish. 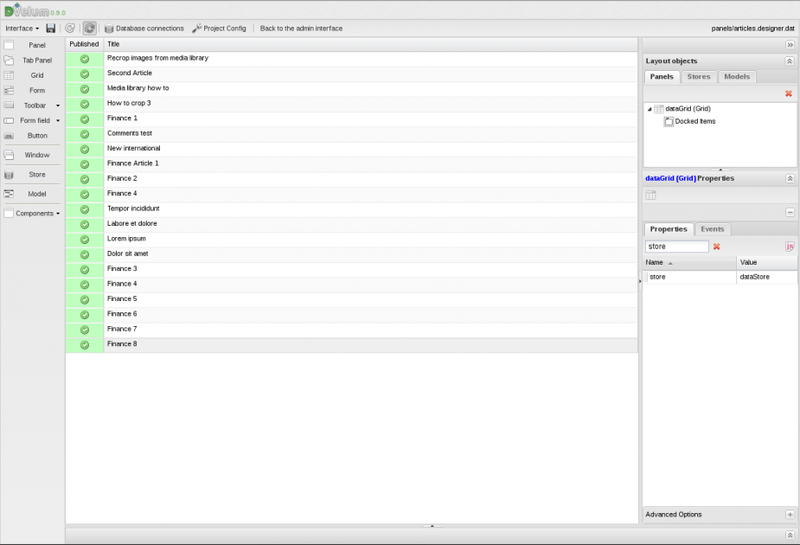 Specify the properties for the Title column: flex:1, align:center. Close the column editing window and click the ‘Refresh the view’ button. 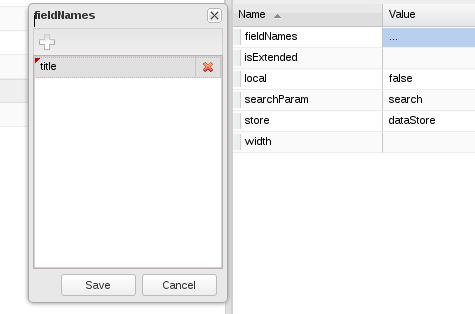 Add a title field to the fieldname component (the field for search and filtering). 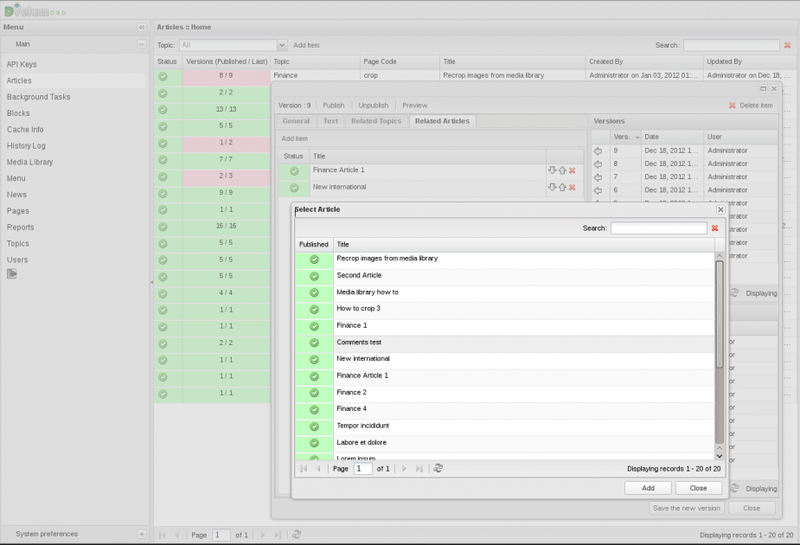 As we are creating a component for the interface, but not a regular editing interface, we need to change the project settings. Change the component name space. 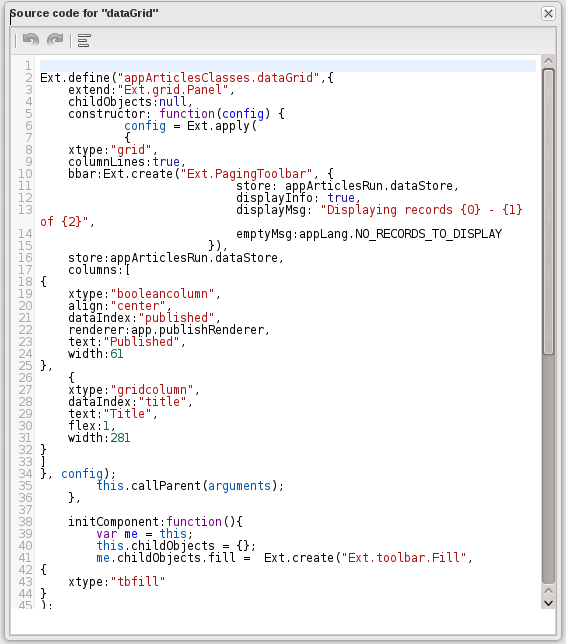 All that remains is to declare dataGrid a component. To do so, set isExtended to true in its properties (which means that the component will be created as a class inheriting from Ext.grid.Panel). As we were going to use our component together with the Related Items Grid, platform of earlier than 0.9 versions will require a small override (which is not necessary for DVelum 0.9 x versions). This override is necessary for the Related Items Grid to catch the link to the dataGrid of our component. 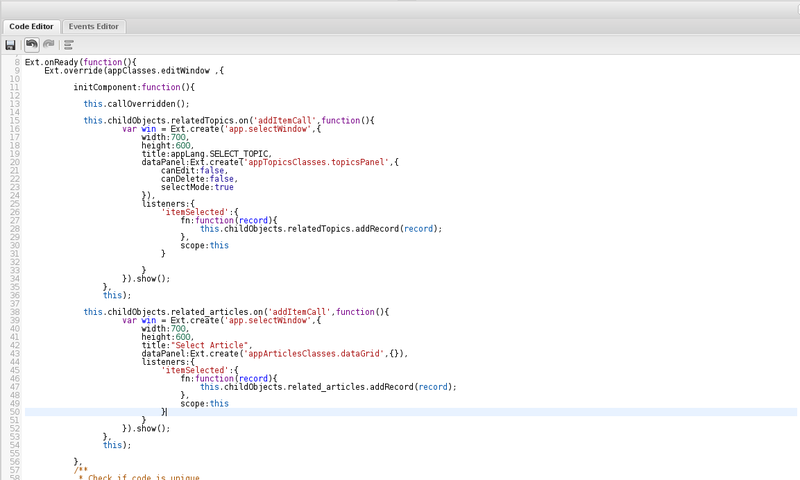 In DVelum 0.9 and later versions this happens automatically. 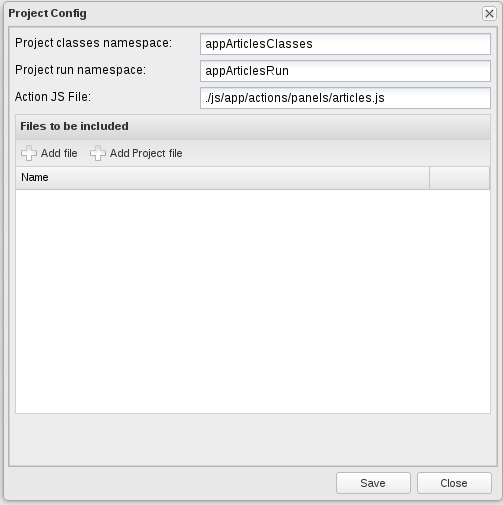 The component is ready, save and close the project. 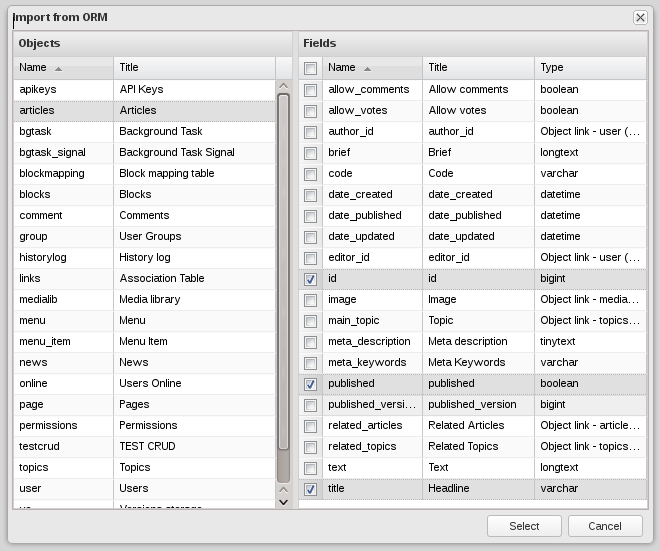 Add the newly created component to the article management interface. 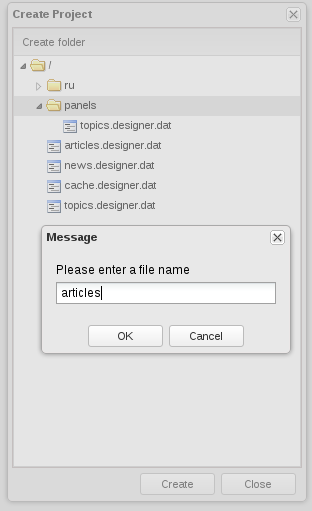 Open the project articles.designer.dat from the project root directory, open Project.Config and click Add Project File to connect the newly created project for the Related Articles component to the current project. All that remains is to set the event adding element for this ce component. Save the code and the project. 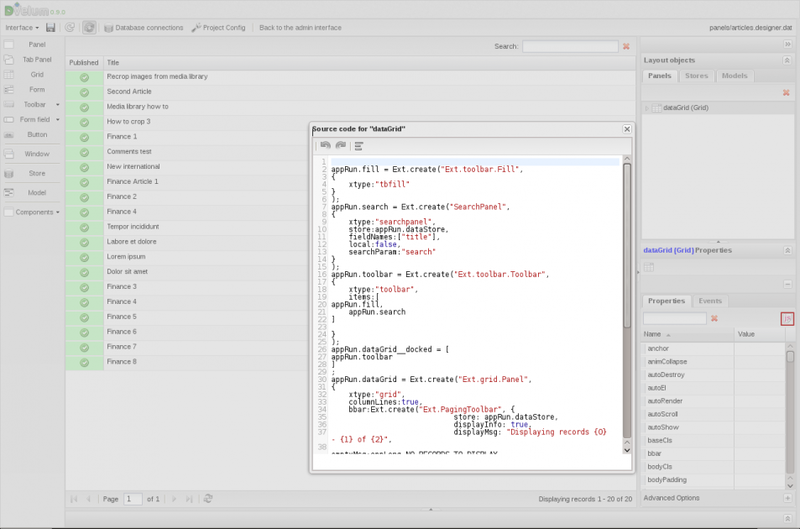 The editor is there and functions all right.